Firstly before I start, I want to wish all my American friends, a happy Thanksgiving. As you know, we don't celebrate it over here, so I forgot all about it yesterday, so my apologies. I hope you are all enjoying your four day weekend and have scheduled in plenty of reading time. The Fischer House was the scene of a vicious crime in the 1920s - a crime which still resonates as the century turns. At its heart was a beautiful, enigmatic woman called Pandora Gibson-Hoare, a photographer of genius whose only legacy is a handful of photographs and the clues to a mystery. Paul Seaton was lured to the house ten years ago and escaped, a damaged man. Now three students will die unless he dares to go back. But this time he has Nick Mason at his side, and maybe Mason's military skills and visceral courage will be enough. I fell for the charms of this book, because it is set in the Victorian period and has that Gothic feel I just love. It is 1856 and Spiritualism is at the height of its popularity. Molly Pinner has left behind her childhood in the Preston slums and inherited her late aunt Florrie’s mantle as Preston’s most successful medium. It soon becomes clear that her aunt was something far more cunning than a magnet for the spirits of the dead, but Molly puts aside her qualms and takes well to her new trade. Molly’s relationship with her oldest friend, Jenny, is jeopardized when she begins a passionate affair with local businessman William Hamilton. Before she knows it, Molly finds herself married to a man she cannot love, and pregnant with a child she does not want. In desperation, she makes a decision that will cast her relationship with William in a completely new light. Trapped and traumatized, and longing to regain her friendship with Jenny, Molly is about to receive a blow that will turn her life upside down. It seems Aunt Florrie lied about more than just her ability to commune with the dead: a truth hidden for years is about to emerge, and it will threaten not only Molly’s livelihood, but her very life. 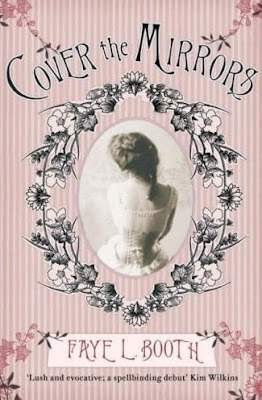 Cover The Mirrors is a dark and zesty historical novel of distorted truths and suppressed Victorian desires. This book is described as a must for fairy tale fans. It has taken the fantastic old story of Beauty and the Beast and brought it into the present. So there are my fabulous finds this week. I shall have to wait until after Christmas to attempt to buy them, as I am now on a book ban until January. What books did you find this week? What wonderful front covers. 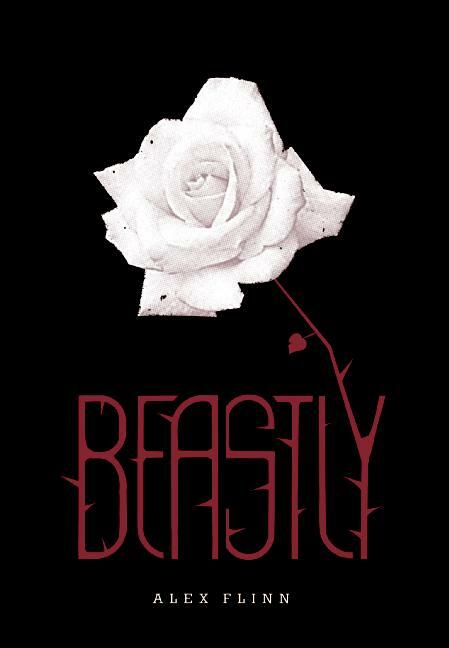 I so want to read Beastly. I loved the story as a girl and would like to see how the story has been transformed. The cover of The House of Lost Souls gives me chills, so I bet the book is chilling. Great finds! Excellent Friday Finds! Enjoy and have a great weekend! I love the cover of Beastly! Thanks for playing! These books sound amazing, right up my alley.! \Thanks for bringing them to my attention. Great finds! All three books sound good. And those covers are all great. Oh I'm positively drooling over all 3 of these. Brilliant finds, fantastic covers. I love re-tellings of old stories. Going to add these to my list for sure. Each of these looks and sounds wonderful! I'll be interested to read what you have to say about them. These covers are totally enticing! Thanks for sharing, Vivienne. Yopu find the most amazing covers! House of Lost Souls looks incredible! They both look and sound good! The House of Lost Souls and Beastly sound especially interesting to me. I really like the cover of Beastly but it also scares me a little! And the cover of "Lost Souls" looks so pretty until you realize those are blood droplets all over! Great choices! ooh, Beastly sounds really good. What a great cover! Beastly sounds neat but I LOVE The House of Lost Souls's cover. Ooo...I totally added those to my TBR list. Thanks!